The Bright Bin is created for the purpose of making people lead less wasteful and environment conserving lives. 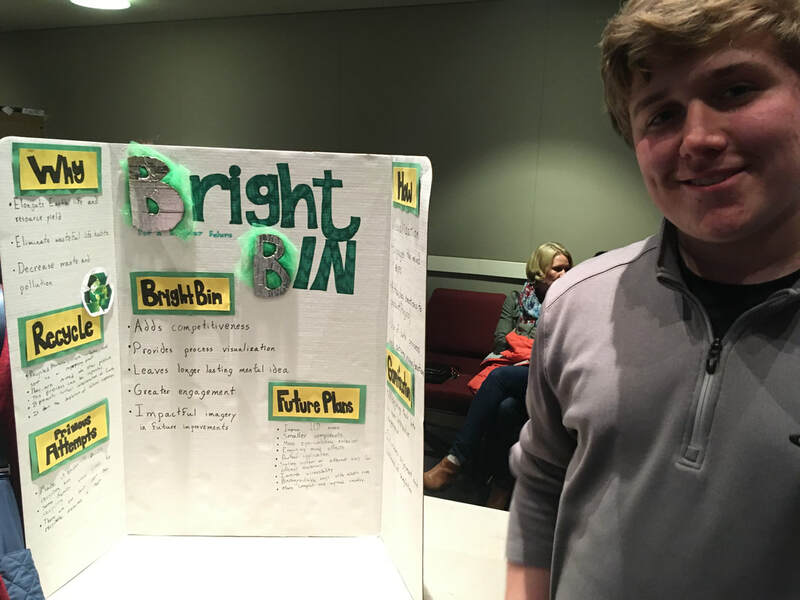 The Bright Bin can do this by being placed in strategic locations, being very common in commute areas, being available inside of homes, providing imagery that engages people through process visualization, engaging people through outcome visualization, maintains interest and thoughts of recycling through pages with images that invoke feelings, and introduces gamification as competition of bottle count between communities. This is all done through a small computer system inside of the Bright Bin that uses a sensor to count the bottles stored and a screen that displays the count, in further iterations we would like the screen to display a celebratory animation and show impactful imagery to further enhance the effects of visualization in the brain.